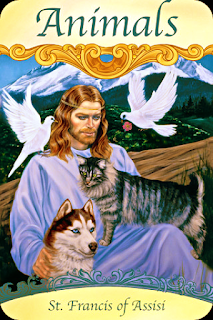 Card of the Day ~Animals~ You have a strong love bond with animals. 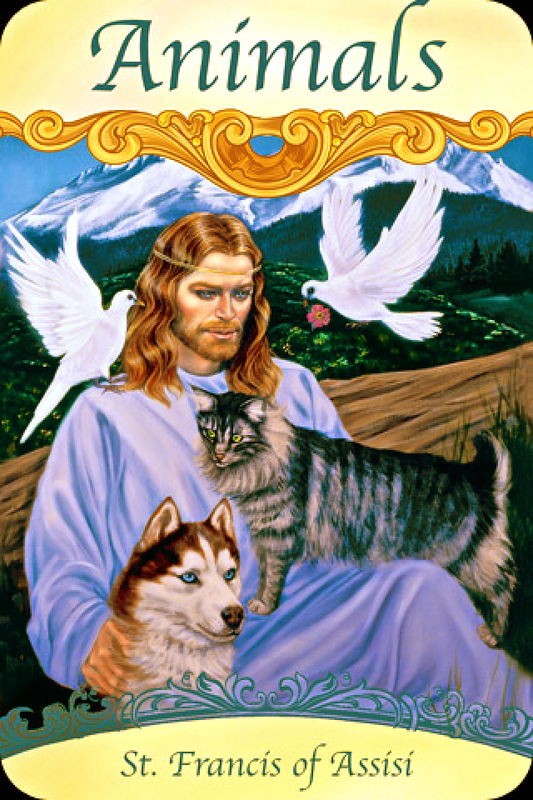 As with St. Francis, they instinctively trust you. They can sense your compassion and understanding and come to you for help and companionship. You have an innate ability to communicate with animals, and you know what they’re thinking and feeling. In some ways, you feel more comfortable with animals than with people. You would excel in a career such as pet sitting, walking, or grooming; being a veterinarian; or animal communication. Your pets who have passed on also send you their love. They want you to know that they’re happy and doing well in Heaven. Animals are definitely an important part of your life and you know no matter what they will always give you unconditional love. You understand that animals have much to teach humanity and as the animals voice you speak up for them. I pray you have an amazing day. I love you all!